​There are two pages of forms that provide all of the ordering details for rentals. 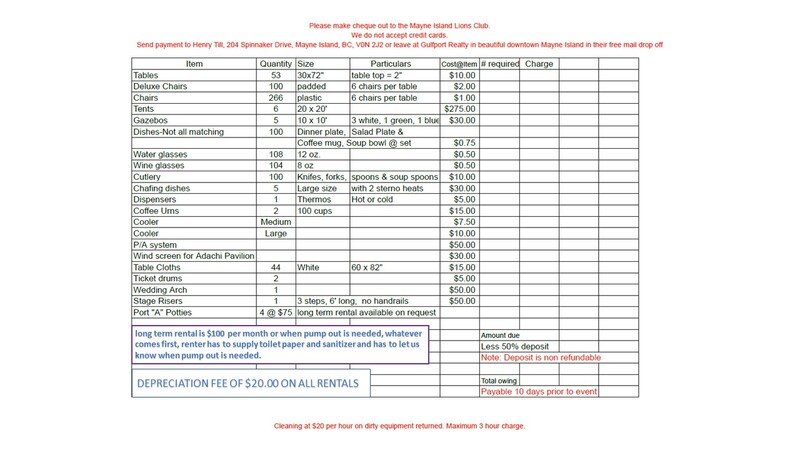 ​PAGE 1 is the 2018 Rental Contract Form to be completed for EACH event. 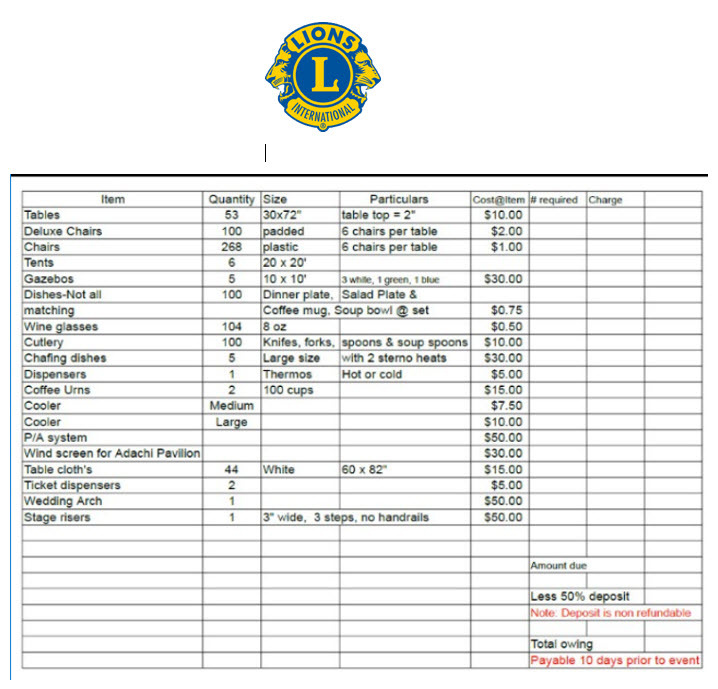 ​PAGE 2 is the 2018 Price list for all of the available rental items. THE CONTRACT RENTAL REQUEST FORM BELOW CAN BE PRINTED OFF AFTER YOU CLICK THE DOWNLOAD LINK . IF IT IS NOT LARGE ENOUGH USE THE ZOOM FEATURE BEFORE YOU PRINT IT OFF. 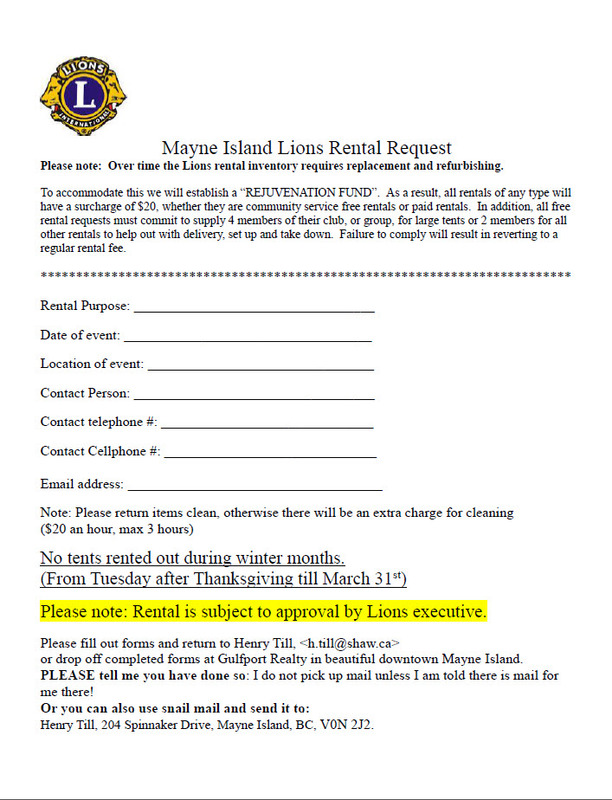 Please make cheque payable to the Mayne Island Lions Club. We do not accept credit cards. ​at Gulfport Realty in beautiful downtown Mayne Island in their Free mail drop-off. ​THE FORM CAN BE PRINTED OFF AFTER YOU CLICK THE DOWNLOAD LINK BELOW.